The nD error code appearing on the washing machine display reports water draining problems. Even knowing the error codes’ deciphering, we can’t correctly diagnose them without a thorough inspection of all the nodes. A user should check every part that somehow relates to the drain. Any washing machine indicates only the approximate nature of the malfunction. The nD error code in Samsung washers is not differed by informativeness. The point is that it indicates a set of internal and external problems. They one way or another relate to water draining. Note that this error doesn’t appear during wringing since it is almost not associated with this process. The fault relates to a preliminary water drain before the clothes wringer or rinsing. When washing, the Samsung washer at a particular stage drains the dirty water. Detecting the impossibility of its removal, the appliance turns off and displays the error code nD. Be sure to check the pockets of your clothes before putting the laundry into the washing machine. Forgotten garbage or any small items can cause severe damage afterward. Failure of the electronic control unit. If the Samsung washer issues the nD error, there is a high probability that the drain pump has failed. This part controls water draining. A strained buzz or complete silence are the signs for this fault. To eliminate the breakdown, unscrew the filter and drain water from the tank in manual mode. Next, remove the front cover and find the drain pump. Look for the cover at the washer’s bottom. Then, remove the pump, disconnect the wires from it and carefully inspect. Make sure that there is no clogging. In fact, clogs can cause the nD error in Samsung washer. After the inspection, you can try to start the pump in idle mode. If the appliance doesn’t react, go to the nearest service for a new pump. The cost of a drain pump can be up to $ 100, depending on the specific model of the Samsung washing machine. If the nD error appears on display, and the self-diagnosis shows the integrity of the drain pump, then the problem lies in the other nodes. There is a high probability that it doesn’t receive power. Hook the multimeter in the voltmeter mode to the power terminals and return the Samsung washing machine to its initial state. Next, start the spin program that usually lasts 9-10 minutes. At the moment when the pump starts, the voltage should appear on its connectors. The connecting wires have failed. It is the better situation as a user can easily replace the part. The control board breakage. In this situation, the triac could fail. In this case, bring the control board to the service, where the specialists will take care of it. Sometimes experts can’t fix the problem, and they only suggest the complete changing of the control board. In the last case, be ready for unpleasant financial expenses. If the Samsung washing machine shows the nD error, there can be a banalest reason. It is about filter clogging. There is so much dirt that the part can’t pass through the flow of dirty water. But you can solve the problem quickly. Take the basin to drain the water from the device. Then, unscrew the filter and gently clean it from contamination accumulated there. After that, return the part and try to run some program. So, the washing machine must work without any errors. The nD error in Samsung washing machines can report the drainage system clogging. So, check the condition of the drain hose. 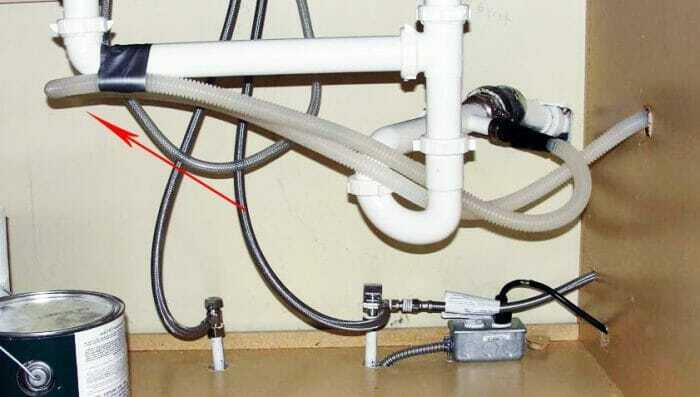 One of the most common reasons for the lack of a drain is a hose clamped by the washer case or any other object. It is also possible that the drain hose is twisted which makes it impassable. Therefore, inspect it first. If everything is in order, check it for clogging. For this, turn off the Samsung washing machine from the sewage system. Then, throw the hose into the sink, bath or deep bucket. Turn on the device and observe the results. If the water flows, then the reason lies in the sewerage. As a rule, users clean the clogged drain hose with a thick wire. Any small objects could get stuck there including coils of hair, thread, etc. Many other things managed to leak through the filter. Have you checked all the Samsung washing machine nodes? Have you inspected a pump, wires, control module, filter, and even a drain hose? If everything is intact and working, but the display still shows the error, you should deal with the sewage system. A blockage could have formed there. To eliminate it, you can use the mechanical method by sliding a steel flexible cable into the pipe. Clean it and try to start the washing machine again. If you complete the task right, the error with the drain won’t appear again. The second method of cleaning the sewage system relates to using particular means. The cheapest one is a solution of sodium alkali. Pour it into the sewer pipe and rinse with water after half an hour. Alkali will roast organic contamination, after which you can start the Samsung washing machine. Then, make sure there are no mistakes. Also, you can use any other chemical means to eliminate blockages.